Participants in the East Central College Franklin County Candidate Forum pose for a photo on Thursday, Sept. 21, 2018. 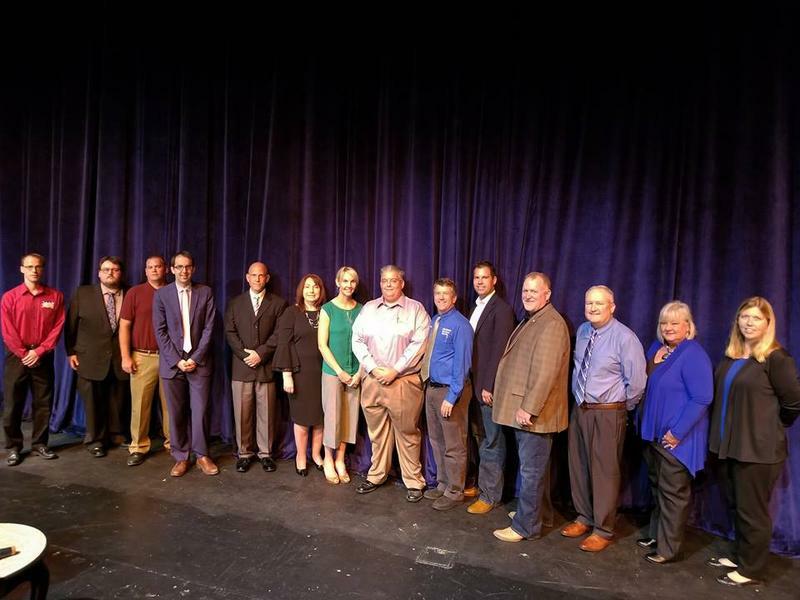 East Central College hosted a candidate forum on Thursday night featuring numerous contenders for local, state and federal offices. St. Louis Public Radio’s Jason Rosenbaum moderated the event, which featured questions on pressing public policy issues — as well as ballot initiatives that voters will consider on the Nov. 6 election. State Sen. Dave Schatz, R-Sullivan, and Democrat John Kiehne, who are running for the 26th District Senate seat. Democrat Katy Geppart, who is running for Missouri’s 3rd Congressional District seat. 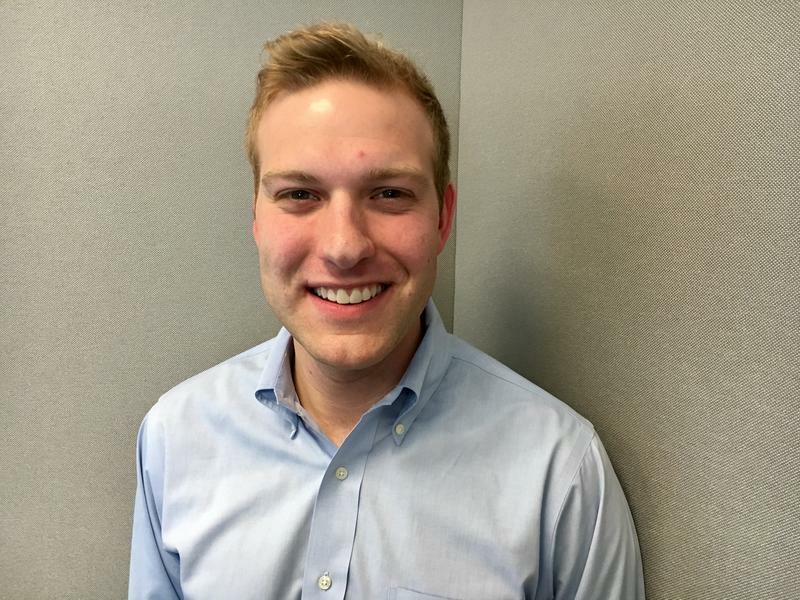 Constitution Party candidate Jacob Luetkemeyer, a contender for Missouri state auditor. Republican Aaron Griesheimer and Democrat Pamela Menefee, who are running for the 61st District House seat. Republican John Simmons and Democrat James Cordrey, the candidates for the 109th District House seat. Republican Dottie Bailey, the GOP nominee for the 110th District House seat. Democrat Marcie Nichols, who is running for the 119th District House seat. A St. Charles County judge ruled that a St. Louis County councilman did not violate a prohibition against working for a government agency. 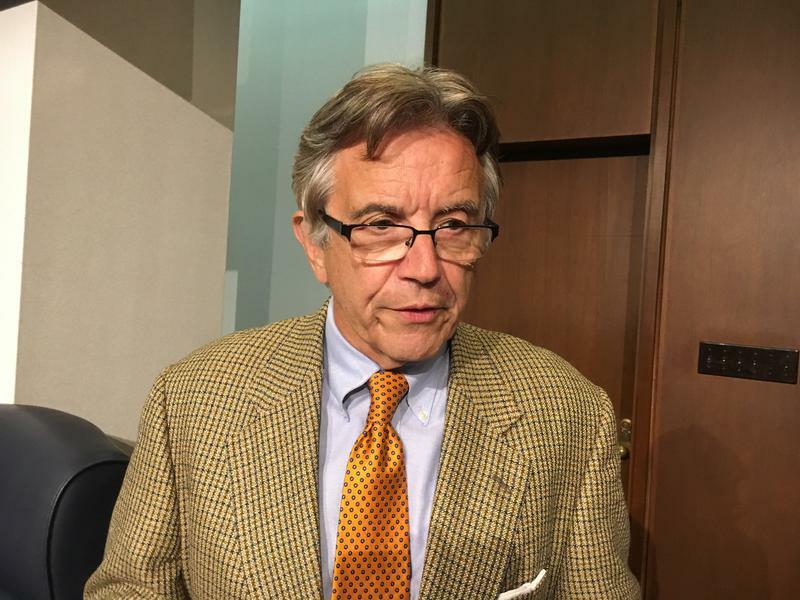 The decision means that Councilman Ernie Trakas can remain on the St. Louis County Council — an outcome the south St. Louis County Republican said he expected.